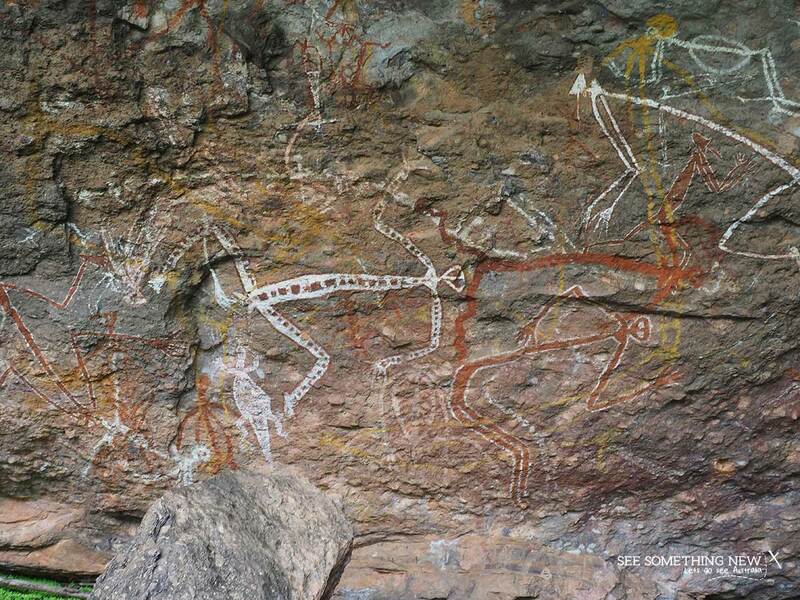 Beautiful art sites are easily accessible on the 'Nourlangie' walk which takes you to art sites in the area around Burrunggui and Anbangbang. This is the Indigenous name for the area in Gun-djeihmi, the language now most commonly spoken in the park. A 1.7km loop, the Nourlangie Walk is a mix of flat wide paths and moderate climb up and down rock steps. 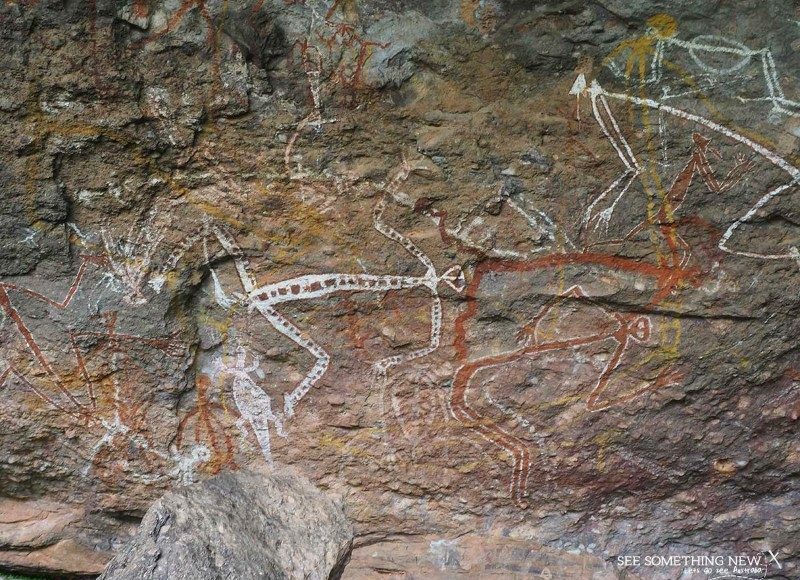 It visits some beautiful examples of art from the Kakadu region as well as a cave that dating has determined was used by Indigenous people during a number of periods over tens of thousands of years. It also takes you to an impressive lookout over the Arnhem Land Plateau. If you complete it in a clockwise direction (turn left to the first art site and around through the rocks) you will do the hills and stairs first and then it’s a leisurely walk back along the flat path. There is several picnic tables scattered around the carpark area. They are in a nice bush setting but do get direct sun in the heat of the day. I saw lots of people just unpack there own chairs to eat under a tree. For those with limited mobility the flat section of the walk can be done as a return walk to the wheelchair accessible art site and the middle site is accessible by stairs and a platform with rails. The lower path is Wheelchair accessible and it gives you access to the furthest and one of the most interesting art galleries. Toilets are located adjacent to the carpark and are wheelchair accessible. Parking is available for cars as well as longer vehicles with caravans and trailers. Take your own, the water from the basin taps must be treated before drinking.